After six weeks rich in riding and imbibing, the time for Coffeeneuring Challenge submissions has arrived. Thus, I’m taking the opportunity to clarify a few items. All submissions must be made via email to gersemalina at gmail dot com. Yup. Even if you know that I read your blog, or I have tweeted or blogged updates of your coffeeneuring outings, you must send your final submission to me via email. Your submission may be in the form of links to blog write-ups or photo sets, but I need you to send me an email so that I can make sure I track everyone. If you did not receive a confirmation from me noting receipt of your submission, then I did not receive it. Please make sure that you receive an email confirmation from me so that you know I have your submission in hand. If you are part of a team, you may submit one write-up among all of you, provided each and every single coffeeneuring trip was made together. As an example, What’s Up Wheaton was a coffeeneuring duo last year and they submitted one submission for the two of them. Writeups and photos just have to evidence your team-ship, or whatever the word is. I should have clarified this point earlier, but only realized it after receiving two team submissions this year. SUBMISSION DEADLINE EXTENDED TO SUNDAY, NOVEMBER 18. In the interest of giving those who may have finished the Coffeeneuring Challenge Sunday only to be overtaken by work and other responsibilities of the week, I’m extending the deadline to give people additional time to submit their write-ups. 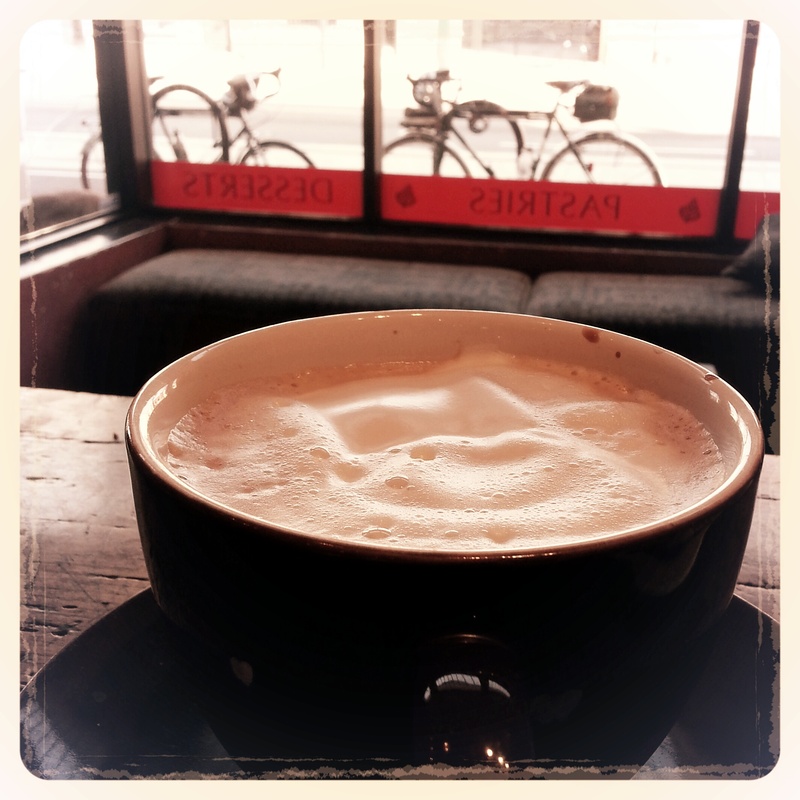 Many thanks to the early birds who have already sent me their coffeeneuring information! This year I’m also featuring the “magic coffeeneuring map.” OK, it isn’t quite on the level of CNN’s magic wall, but this map shows all of the states that have made Coffeeneuring Challenge submissions as of RIGHT NOW. 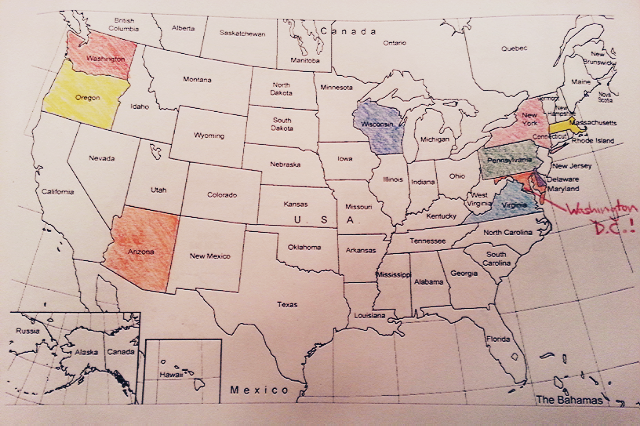 The states that have been shaded in are coffeeneuring states. The colors used for each state have no significance other than they are colors that I like. I will update the map as submissions continue to arrive. As international coffeeneurs provide their information, I’ll figure out how to display that information, too, and undergo a self-imposed geography test in the process. What areas will be next to make it onto the coffeeneuring map? Tune in over the next few days and find out! You forgot my state on the map, Mary. I live in Silver Spring, Maryland. I thought I had a Maryland coffeeneur in the mix already! Phew!! Thanks, Julie. I will add your state! You just have to tell me what graphics program you are using for the magic coffeeneuring map! I love the retro look! It really does look like someone colored it in with crayon. How, how, HOW did you do it?! The map is cool, and that photo of your coffee is one of the most enticing I’ve seen!